As the holidays approach we are flooded with consumer adverts, deals and sales, finding it hard to resist spending on things we may not even need, or end up never using. However, we could use the this time of the year to vote with our wallets on more sustainable and ethical gifts and products. Read on to find out what the University of St Andrews does to promote ethical food and consumer products. With the Christmas holidays and Boxing Day upon us, it is a good time to consider the things we purchase beyond their monetary value. Sometimes the reason why a product is very cheap is due to someone else baring the cost along the production value chain. And when the goods we purchase are produced in countries, where labour protection laws are either non-existent or weekly enforced, it is the workers who are deprived of something, in order for us to have the cheaper option. University of St Andrews recognises this problem and tries to correct for it by supplying fairtrade-certified products, where possible. At the time of writing all of our bananas, sugar, coffee, hot chocolate and the majority of our tea is fairtrade, with all non-fairtrade tea being supplied by a non-profit, the proceeds of which fund educational charities. Our catering and procurement departments constantly look to expand the University’s fairtrade product range, educating staff and students about its importance, but also listening to their feedback. For instance, after a University-wide student survey in spring 2017, where the majority of students indicated a preference towards fairtrade bananas, all of the bananas offered on campus are now fairtrade. Further, our chefs regularly try out new fairtrade products and brands, trying to find a good fit for their catering requirements, while procurement works hard to identify fairtrade suppliers able to meet the demand from a large institution such as ours. 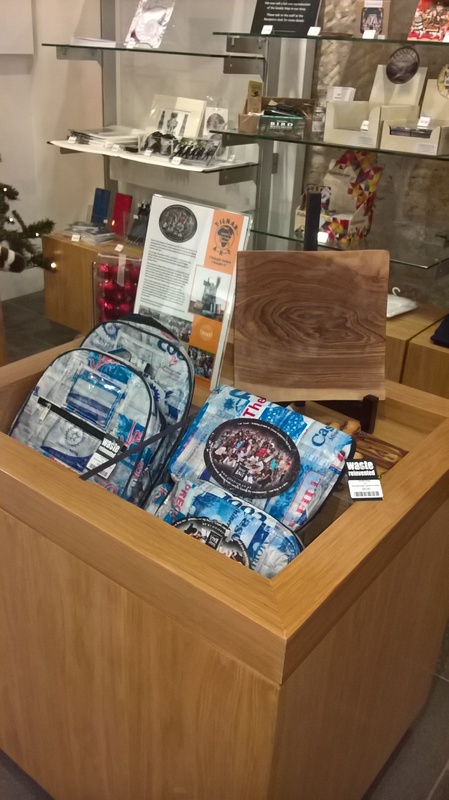 Building up on this good record, the Museum of the University of St Andrews (MUSA) has introduced a fairtrade product range in their gift shop, as part of the exhibition – Encountering Africa: Henri Gaden’s Life and Photography in Colonial French West Africa, 1894-1939. This temporary exhibition showcases the photographs of Henri Gaden (1867-1939), a French colonial officer who lived in West Africa for almost 45 years. An ethnographer, linguist and gifted photographer, Gaden captured on camera a rich variety of encounters with Africa. His photographs provide an important pictorial record of military campaigns, colonial life at French outposts, local communities and portraits of individuals he met in West Africa. 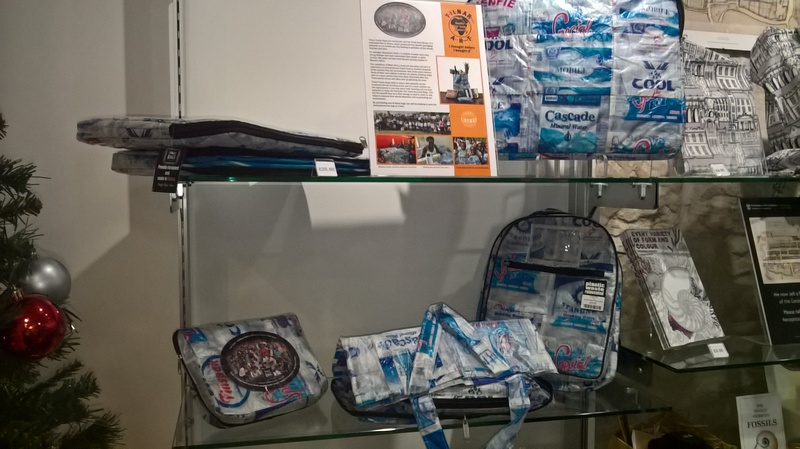 As MUSA’s Visitor Service Team wanted to be respectful of the culture and people, represented in the photography exhibition, they decided to source fairtrade merchandise, in support of African producers. 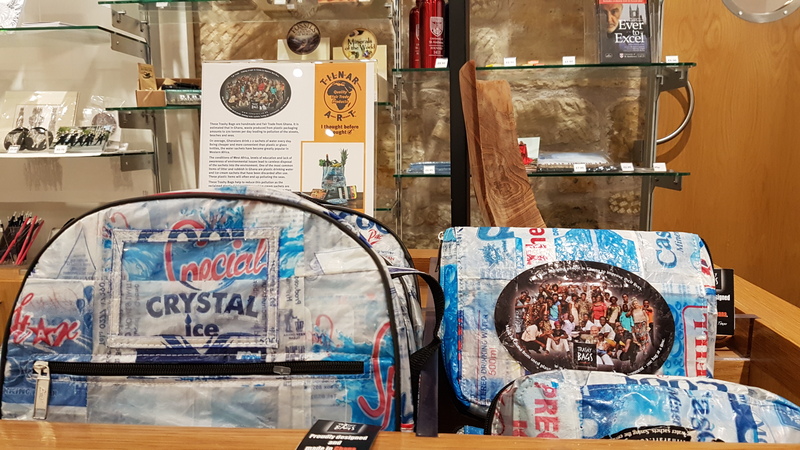 In MUSA’s gift shop you can find a range of fairtrade bags made from recycled plastics – a big environmental issue around the coast of Ghana where clean water is routinely consumed from non-biodegradable plastic sachets which are then discarded on the streets. 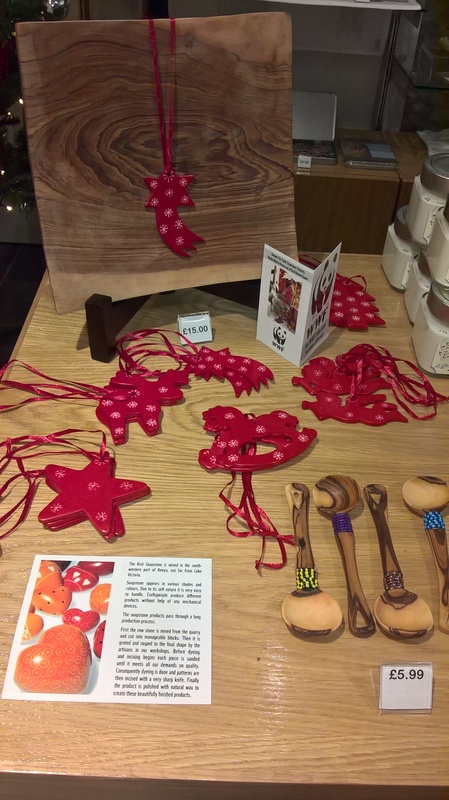 In addition to the bags, the shop offers wooden hand-made decorations and olivewood beaded coffee spoons, carved in Kenya. These products are made by people who previously carved in ivory and have had to adapt their trade due to the ban on poaching. All of the products are sourced from Tilnar Art, which is a BAFTS-certified supplier. Buying more ethically-sourced products is a great New Year’s resolution, and if you are considering this, make sure to stop by MUSA for some great ethical and environmentally-friendly gifts when it opens again on January 4th! Meanwhile, if you still haven’t done your Christmas shopping and are looking for some last-minute gift ideas, why not have a look at this Fairtrade Foundation gift guide or browse through their website? And for more sustainable gift-wrapping options such as Japanese fabric(furoshiki) or newspaper wrapping check out this interesting blog post. 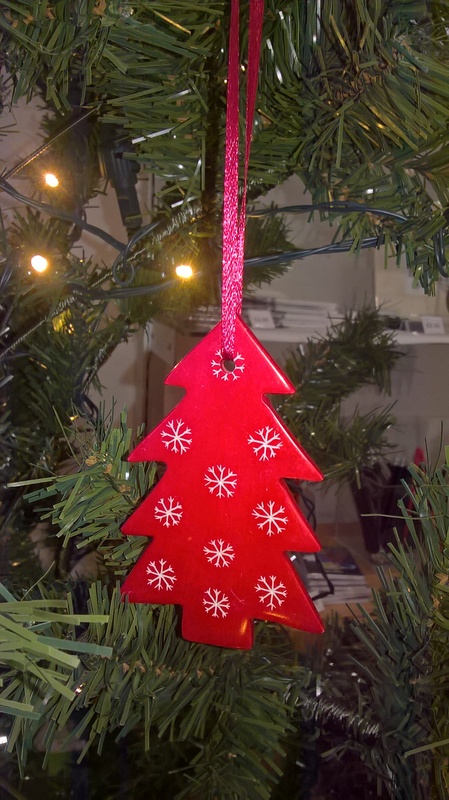 Happy Holidays from the Environment Team and keep on being sustainable! Encountering Africa is on display at MUSA until 25 February 2018. This entry was posted in Fairtrade, Uncategorized by Mariya Simeonova. Bookmark the permalink.